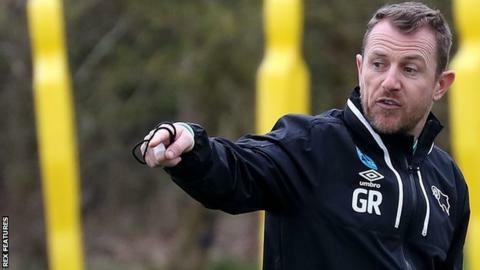 Manager Gary Rowett says Derby County are becoming a team who can win when they are below par and criticism of their style of play is unfair. The Rams are fourth in the Championship following Saturday's win at Barnsley. "I'm really pleased with how we're building these performances," Rowett told BBC Radio Derby. "Some people rued some of the players going out in the summer but this group now has the ability to win without playing as well as you might like." Derby, who face Aston Villa on Saturday, are six points off the automatic promotion places and five points clear of seventh-placed Leeds United. Rowett said winning when not playing at their peak was "massive" and said the quality of the football in the 3-0 victory at Oakwell showed they can also entertain. He added: "There is a lot of criticism about the way we play. But our second goal against Barnsley was a fantastic move. It was really incisive play and another terrific goal."